Our open top kegs are manufactured as extremely sturdy and robust containers. This ensures they are strong enough to transport viscous material in industries like chemicals and pharmaceuticals. Additionally, because of the nature of the materials they are often used to transport and store, they are usually manufactured to UN approved standards. 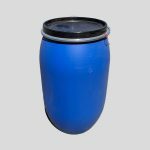 The H & O Plastics blow-moulded, open top kegs (or open top drums) are ideal for using in environments such as those mentioned above and we supply them in a range of sizes, 30ltr, 60ltr, 120ltr and 220ltr. 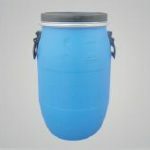 Currently, they are manufactured in a single colour scheme – blue drums with black lids. All sizes of open top kegs can be supplied as UN approved. Every H&O Plastics open top keg comes with a plastic lid and galvanised locking band. These features add to the container’s security and safety. Additionally, they are manufactured from HD polyethylene and are suitable for recycling. All our containers can be manually handled safely and they are also safe enough to be moved by fork lift trucks.